"Harper's Bazaar, the luxury fashion magazine, is giving writers a chance to submit a short story in their freshly launched literary prize competition. "Harper's is inviting both published and novice writers to enter a 3,000 word short story on the subject of 'Spring'. "The winning writer will have the fantastic once-in-a-lifetime opportunity to have their story published in the May 2014 Harper's Bazaar issue and the privilege of choosing a first-edition book from Asprey's Fine and Rare Books Department to the value of £3,000. In addition, the lucky winner will enjoy a weeklong retreat at Eilean Shona House, on the 2,000-acre private island off the coast of Scotland." A weeklong retreat on a private island off the coast of Scotland! That's my kind of writing retreat, though I'd doubt there would be much actual writing. "The theme of inspiring literature is woven throughout the September issue of Harper’s Bazaar with a reprinted Virginia Woolf tale from the Bazaar archives, alongside a fashion piece by contemporary writer Margaret Atwood." 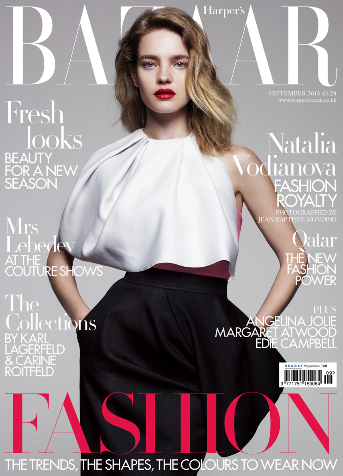 Where to submit your manuscript: Send your submission to shortstory@harpersbazaar.co.uk. Contest is closed on December 13, 2013. Length of manuscript: 3,000 words maximum. I wish I had a webpage I could direct you to but I heard about this contest from an email Harper's Bazaar sent me. Best wishes! Photo credit: Copyright © Harper's Bazaar. Used with permission. Thanks for the heads-up. I'll spread the word. Saw your link in the #myWANA feed. Thanks, Karen! There appears to be a typo on the email address: "hapers" should be "harpers"
Indeed there was! Thanks for catching that.